Tokidoki’s goes LARGE! Rumours have been put to bed as Awesum has confirmed the rumours to be true as they have partnered up with Tokidoki to bring a range with a much larger size. 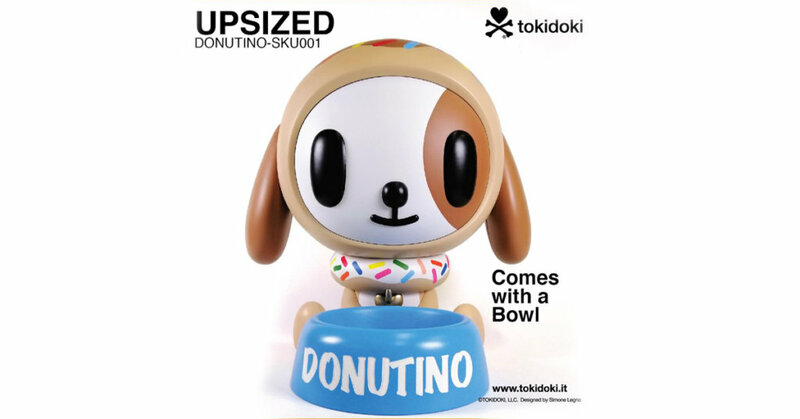 One of the first Tokidoki characters to get the Awesum UPSIZED treatment will be the lovable “Donutino”. One companion for life will be made available for pre-order next week. Remember “a dog for life, not just Christmas”, don’t worry be happy as he’s house trained, obedient and loves his new family. Donutino comes with his own bowl! Pre-order starts 12th December 2018.